Selecting a digital camera can be a challenging decision. As the holidays approach and many of you might look into purchasing a new camera, we've listed some of the most important features and considerations to take to make a pick that best works for you. 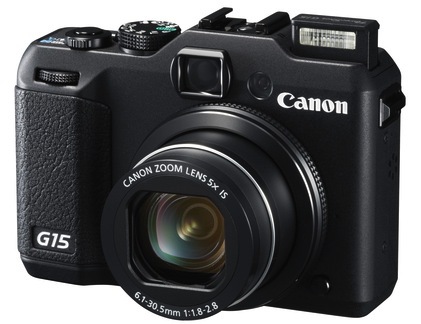 Sensor size: Compact digital cameras (also called Point and shoots) have a compact sized chip dimension. Therefore, even when compact cameras have the same amount of megapixels as an SLR, each pixel is of a smaller size. This said, sharpness, color rendition, and low light captures are of less quality than SLRs. You can notice this factor easily on photos that are shot with an 8-megapixel cellphone digital camera vs an 8-megapixel SLR: the cellphone pictures will tend to have more noise (in low light) and have overall less definition. Lenses: In compact digital cameras lenses are not interchangeable. In addition, there is the Optical zoom vs the Digital Zoom aspect to be aware of. 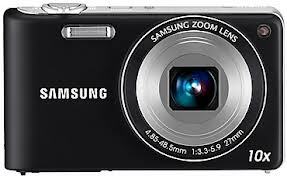 Optical zoom capability is a through-the-lens procedure that maintains top quality. Digital Zoom, however, significantly decreases quality as zooming is done by way of digitally enlarging the image. Digital zoom is indicated as the "Multiplication factor". Or "X". Flash mount: Only a few compact cameras have a flash mount. If you have an external speed-light, this should be one of your most important considerations before purchasing your camera. Camera shooting options and settings: although compact digital cameras have significantly developed over the years, and some of them provide very similar features than SLRs, they are still somewhat limited. For example, most Compact digital tiniest aperture is F8, while most SLR's can range up to F32. (4-stops broader range). Small apertures satisfy the requirements of shooting pictures that are fully sharp from the nearest place to the camera to the furthermost visible plane. Having a wide aperture, on the other hand, is also important as wide apertures allow for extreme blurs. Most compact cameras do Ok on the wide aperture end of the scale. Conclusion: Compact cameras that come with features of SLR's are are not necessarily economical. 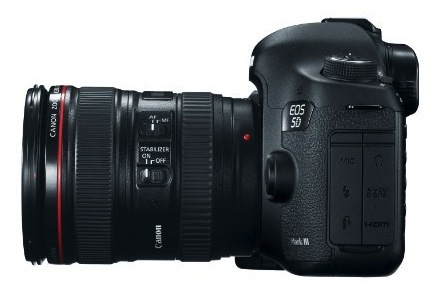 DSLR's offer more than twice the features, flexibility and speed. If you plan on doing heavy shooting, you might want to consider a DSLR, unless of course, if the compact size is your most important requirement. 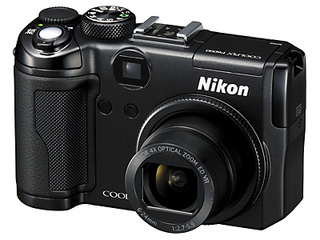 In this case both Canon and Nikon have some pretty good compact camera options. Lens quality: generally brand lenses have a better definition: overall better color and contrast rendition and minimized distortion (generally occurs on the edges). Low light scenes: this is mostly associated with the widest aperture of the lens. It is this feature that makes a big difference in the lens's price. As a reference, lenses offered as part of "camera Kits" tend to have a widest aperture of F3.5 or F4.5, while the higher-end lenses will have wider range apertures such as F2, F1.8. Focal length: this is the angle of view, the range from wide angle to zoom. Most affordable lenses will have a variable focal length. Prime lenses will have a fixed focal length. Conclusion, quality of the lens is important, however, because lenses are interchangeable we wouldn't recommend spending thousands of dollars on a lens at the start. A good tip is: start with the basics and upgrade your equipment as your skills outgrow your current one. Now a days cameras have all kinds of sophisticated shooting options. Some of these options might be exactly what you need for your field of work, some others may be irrelevant and you may end up never making use of them (or at least not for years), and others are always good to have. A wide aperture range: Apertures work just like the human iris in as they expand and contract based on the amount of light on the scene. The camera, unlike the human eye has a set number of openings, called F-stops or Apertures. Each F-stop has it's assigned number, however, what maybe a bit confusing at first is that smaller numbers stand for wider apertures. This said, wide apertures allow for shooting in low light as well as creating extreme blurs. And smaller apertures allow for the opposite: shooting in extremely bright scenes and creating Full sharpness. Regardless of whether you work in Automatic or Manual mode, the range that you camera offers will greatly affect the flexibility you have during shootings. The standard aperture ranges are: F1.8, F2.8, F4, F5.6, F8, F11, F16, F22, F32. A wide Shutter-speed range: the camera's shutter-speed allows for shooting in low light scenes as well as freezing an action or capturing motion. The higher numbers i.e 1/8000 are used for freezing the action. The standard range is: 30", 15", 8", 4", 2", 1", 1/2", 1/4", 1/8", 1/16", 1/30", 1/60", 1/125", 1/250", 1/500", 1/1000", 1/2000", 1/4000", 1/8000". Manual Mode: Like all things automatic, there will be some times when you'll know better than the camera default settings. In these cases, you might need manual mode. By this we don't mean to say that somethings are not possible in automatic mode, but rather, when extreme precision is needed switching to manual mode will sometimes prove to be the quickest way to get the precision shot done right. In other more advanced scenarios such as in a Photographic studio setup or when using flash meters, automatic mode won't work. Frames per second: This is how many photos the camera can shoot with one press of the shutter varying from 3 f/s to 8+ f/s. This is much sought after for sports photography. And you may never use it if you do say, architectural photography. Metering methods and TTL: Cameras have sophisticated ways of reading light through the lens. The more "zones" the camera is able to read the better the results *generally will be, particularly when working in automatic modes, or using speed-lights. (flash units). The list of options and settings goes on, the above is a brief that we hope gives you an overall outlook. Understanding exposure in a 2 hour class will give you a solid understanding of what you immediately need and what you don't at least quite yet. Camera kits offered at major photo stores, particularly Adorma, B&H, Calumet, 17th Street Photo are generally good and comprehensive deals. At these stores, if they present you with several options, they are usually very clear explaining the key differences between them. The most important would be to determine which brand to go with from the start. Also, most of these photo stores, also offer rentals and used equipment departments. If you have narrowed down your choices to just a few different models, you can see if they are available to rent which would allow you to "try before you buy". If interested, good discounts are available for used equipment from these stores and they all have some sort of warranty on the used equipment they sell (which you would most likely not get if buying used equipment on eBay or craigslist, etc. ).